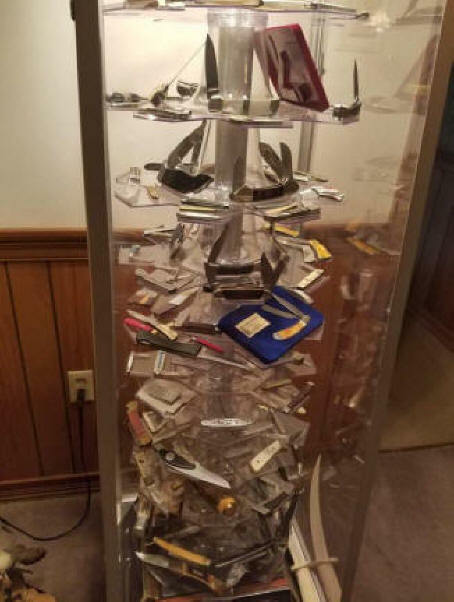 DRISCOLL ANTIQUES has been consigned to sell this collection of knives and the glass show case with revolving lighted shelves. We will be cataloging and pricing this collection over the next few weeks. Check back to see the updates on the individual knives. The seller wants to sell these knives as a collection, not as individual knives.